Yesterday – Games for Android 2018 – Free download. Yesterday – Full story quest. 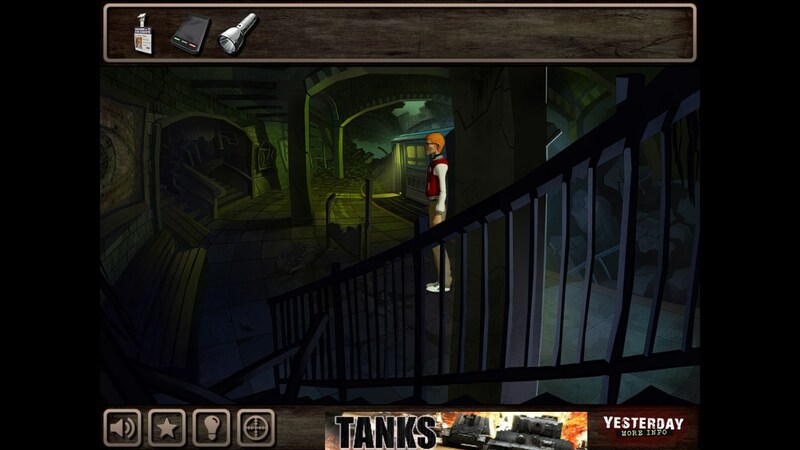 Yesterday - is a port from the PC to the popular Android quest thriller about three friends who are investigating a series of mysterious murders. 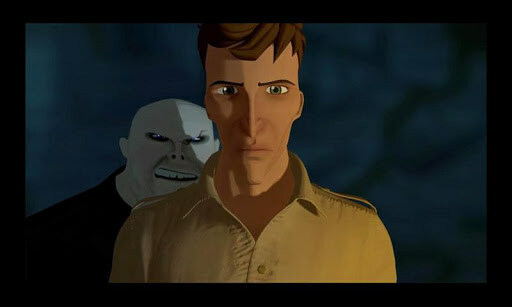 The game has a unique gripping storyline, great graphics with a variety of scenes and unusual feeding stories in cinematic style. 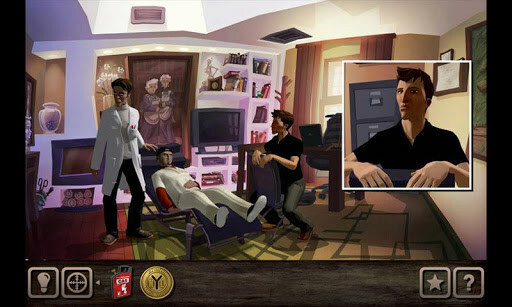 Game developing studio Pendulo Studios, which created in my time series is very popular on computers quests Runaway and The Next Big Thing, which are forever in the list of the best representatives of the genre. We can say that this is the studio, still makes the most real, balanced quests, not allowing himself to sink to banal subjects and scenes of search items. In Yesterday all geimpley extremely balanced, puzzles are not too simple and not too complicated, there is no such that you have to guess half an hour on a single action, in the end, we can take a hint. Basically we will collect various items, put them on the basis of logic and intuition. As for the plot, it's an adult story, scattered in time and memory. 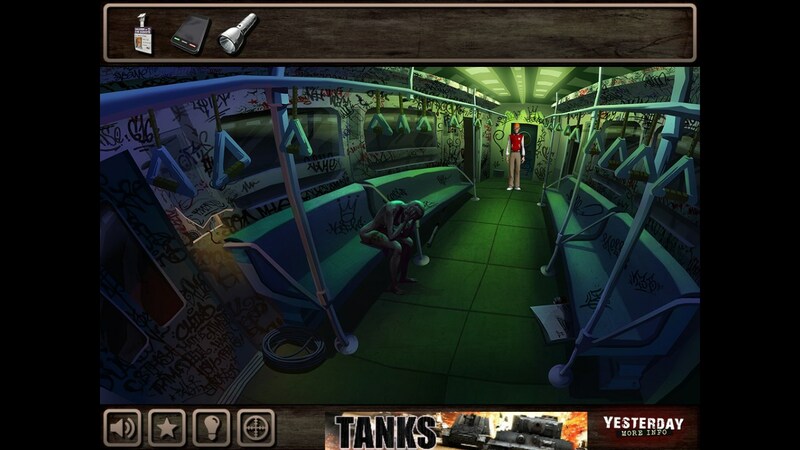 The whole game is generously spiced violence, murder, bloody scenes and dark humor. 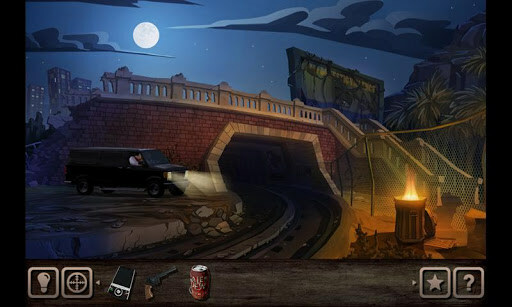 Picture story games often change from 2D to 3D and vice versa. To claim the graphic component is not, the game contains 900 megabytes high quality textures. The only significant shortcoming of the current version of Yesterday for Android - is the absence of the Russian language, as it was present on the PC. So you have to know English at least at the secondary level, to understand all the features of the plot. The unique dark atmosphere and dark humor. Another annoying thing - it's black bars on the sides of the screen, a clear consequence of the possible versions for mobile devices, you must think ahead. Fortunately, this flaw is easily overlap that you can play free of charge with a small banner ad or buy the full version for 200 rubles without advertising. Summary. Yesterday - it's a memorable story quest for Android, which could enter into the golden collection and stand next to such masterpieces as The Tiny Bang Story and Machinarium , if there was a Russian translation and optimize images to full screen. And so - only four.